The International Consortium of Investigative Journalists has made a partial Panama Papers database available. The International Consortium of Investigative Journalists today published a portion of the massive 2.6 terabyte leak of internal documents from the Panamaian law firm Mossack Fonseca, known as the Panama Papers. 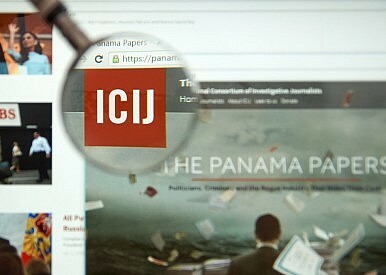 The ICIJ, along with Sudetendeutsche Zeitung, announced initial findings of interest from the leak in early April. The Panama Papers leaks had immediate real world impact. In Iceland, the prime minister was forced out of office after the revelations. In Pakistan, Prime Minister Nawaz Sharif, whose family members’ offshore activities were exposed in the leak, has been thrust into a political crisis. Elsewhere, the revelations have led to arrests and tax evasion investigations. The public release of this data should drastically increase the number of eyeballs examining Mossack Fonseca’s leaked records from the 370-some journalists the ICIJ gathered to investigate the original whistleblower leak for more than a year. Asia-Pacific Elites Widely Linked to Leaked Panama Papers—What Next? The biggest data leak in whistleblower history is causing shockwaves across the Asia-Pacific. Nawaz Sharif and the Panama Papers Judgement in PakistanGreen Shoots Sighted for Asia’s EconomiesAn Oil Discovery Before Systemic Reform in Pakistan Would Be a TragedyIn Myanmar, Jittery Investors Threaten Long-Term DevelopmentAsia’s Elections: Market Moving or More of the Same?